100% pre-shrunk comfortable cotton dark blue shirt with quality silk screen image. 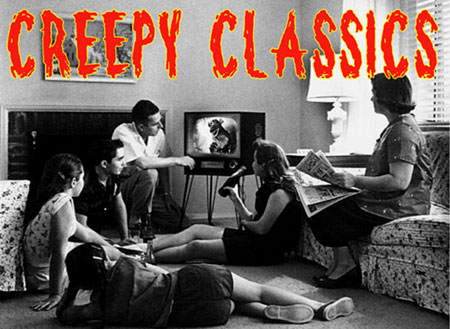 Lobo says "Time To MONSTER BASH!" 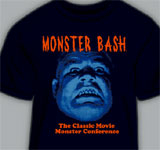 Dynamic colors...dark blue shirt with blue toned face and brilliant orange lettering that says MONSTER BASH, The Classic Movie Monster Conference. Men's sizing.